Don't miss these Coming Soon and Hot New Listings in the Twin Cities! 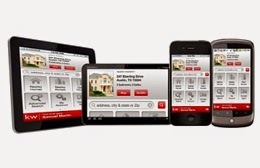 Why use my Keller Williams home search app to search for homes in the Twin Cities? and Faster communication with me via call, text or email. Curious about qualifications in real estate? If you or someone you know is interested in a career in real estate at Keller Williams I'd love to talk! Click this confidential Contact form, or just give me a call! What else can I help you with? Contact me!